Bed bug book: They are in hotels, theaters, trains, and luggage, but don’t panic. Sure, no one likes bed bugs, but for most of us, there’s no reason to panic or to avoid public spaces. There are bed bugs in bedrooms, of course. They’re also in movie theaters, libraries, and, apparently, riding the N train through the tunnels of New York City’s subway system. And if you look hard enough, you’ll find the pests in our literature, music, and even, perhaps, stretching back through our history to the dawn of humankind. If there’s one thing I learned while researching and writing Infested: How the Bed Bug Infiltrated Our Bedrooms and Took Over the World, it’s that bed bugs are everywhere, and they have been for a very long time. If there’s one other thing I learned, it’s to take a deep breath. Sure, no one likes bed bugs, and the thought of an infestation can really screw with your mind. But for most of us, there’s no reason to panic or to avoid public spaces. Maybe you’re thinking: “That’s easy for her to say.” But I’m not a bed bug apologist because of my book, and I haven’t been able to keep my research subject at arm’s length, either. I’ve had the little demons bite my arms. Many times. I suffered through bed bug incidents in three separate New York City apartments—first in 2004 and again, twice, in 2009—and just last year I awoke at 5:30 a.m. in a nice hotel room in Chicago covered in itchy welts. Bed bugs, it turned out, had been hiding in the bed skirt. So, I’m a bed bug survivor. I feel your pain. I, too, have vacuumed every book in my bookcase, frantically steamed the corners of my dresser, and wondered in a panic whether the towel I momentarily dropped on the floor is now somehow infested (Does the five-second rule apply to bed bugs?!). I have eyed the suitcases in a train luggage rack, wondering if I should just sit on mine in the corner, and spent sleepless nights in hostels packed with the suspicious-looking bags of fellow travelers. But we can take these things too far. I’ve talked to people who have gone to incredible lengths to avoid the bugs—worn Tyvek suits to a movie theater, thrown clothes away after each business trip, or refused to travel at all. These are not people who have ever had bed bugs or who were in situations where they were likely to get them. Let’s think about my original examples: the movie theater, the library, and the subway. Have bed bugs shown up in these places? Sure. Look closer, though, and you may see that the risk of bringing bed bugs home from these spaces is pretty unlikely. Now, take libraries. The same survey suggested that just 12 percent of pest controllers treated libraries for bed bugs in the previous year. Consider, too, that bed bugs are visible to the human eye—all you have to do when you’re checking out a book is flip through the pages to see whether you are at risk for bringing bugs home. (Adults are around the size of a lentil, and even eggs and juveniles are visible too, although smaller.) As for the subway, while the survey says public transit is a little buggier than theaters and libraries at 23 percent, which includes not only trains but also buses and cabs, that frantic N train report involved bugs in conductors seats and employee locker rooms. If you’re a straphanger heading to work, and you aren’t breaking the rules by breaking into the driver’s seat, you aren’t likely to get bed bugs in that particular scenario. 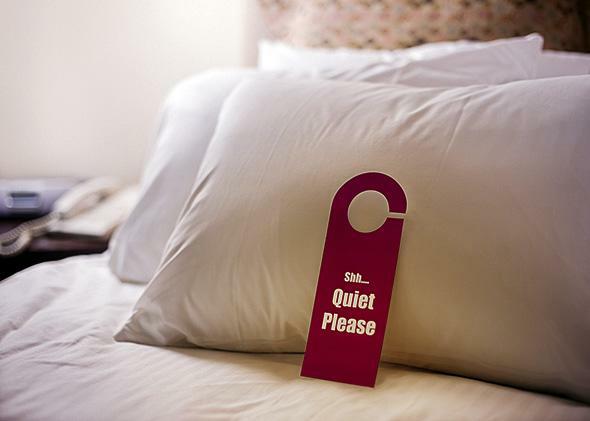 As with so many things in life, while the bed bug risk in public spaces may seem overwhelming, it is quite small. If you add in some simple precautions—don’t carry extra bags to the movies, inspect your belongings after an outing, or when in doubt, throw your clothes in the laundry as soon as you get home to wash and dry on high heat—the chances of picking up bed bugs in these places and taking them home is minuscule. All this is not to say that bed bugs are innocuous or to gloss over the very real damage they may cause. While the insects aren’t known to spread disease, they can cause devastating emotional distress. In 2012, Canadian researchers published a study suggesting that bed bug infestations can spark insomnia and anxiety even in people with no history of either (surprising no one who has ever had bed bugs). Infestations may exacerbate existing depression, bipolar disorder, addiction, and more, leading some to contemplate or even commit suicide. People who suffer from actual bed bug infestations deserve all the sympathy and help in the world. In light of these sad stories, as well as media hype over bed bugs in public spaces, I get why you’re worried. If the bugs are so awful, why not avoid any potential place they may lurk? But if you fear bed bugs in the complete absences of any evidence of bed bugs, I say to you: Live your life. Peruse your favorite vintage shop, go to that movie, and travel with abandon. Don’t worry too much about bed bugs. (But do double-check that hotel bed skirt.) Don’t let the looming and invisible threat of a possible, just maybe, brush with a bed bug stop you from doing the things that bring you joy. If you do, then the bed bugs have won.